The Cooler Filter Tank Unit – OK-ELHM combines oil cooler. It uses air forced by a fan and across an aluminium matrix to dissipate heat from the fluid. This happens as it passes through a series of tubes. 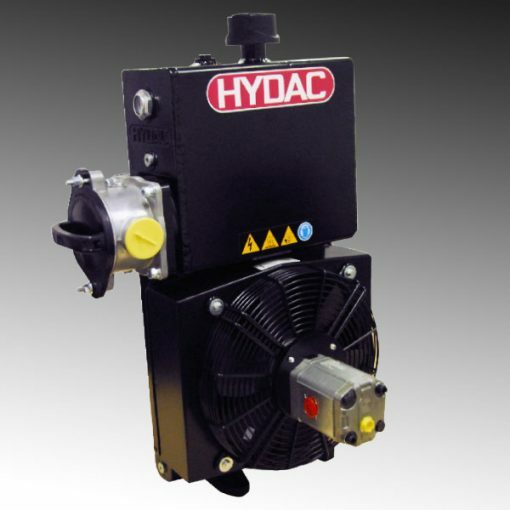 Note that the fan moves thanks to a hydraulic motor. What’s more, the cooler answers specifically for mobile applications in on and off-road machinery, thanks to its tank’s integration. The product also possesses a state of the art filter. Indeed, the integration of magnetic core allows increasing the filtration capacity. The suction filter design is especially for in-tank installation. The element ensures minimal pressure losses coupled with good retention rate. This together with the large filter surface serves to minimize cavitation in the pump. The integrated bottom valve allows horizontal assembly of the filter so that maintenance is possible below the oil surface. Moreover, the bottom valve closes automatically on removal of the cover. The design of the filter head allows drainage of the residual oil from the housing area before opening the filter. This eco-friendly feature prevents any contamination of the environment during maintenance.